Ireland is famous for its food and drink, from dairy produce to beef and of course a good old pint of the black stuff, but how much do we really know about what makes Irish food so special? Kathriona meets Alain Alders, Michelin starred chef at the spectacular Castle Estate of ‘Restaurant De vrienden van Jacob’ in Amsterdam. A member of Bord Bia’s Chefs Irish Beef Club, Alain explains why he values Irish beef so highly as he prepares Kathriona the perfect, mouth-watering steak. The way the animals are handled after death is considered to be one of the biggest factors in eating quality and, in stark contrast to the Michelin restaurant (!) 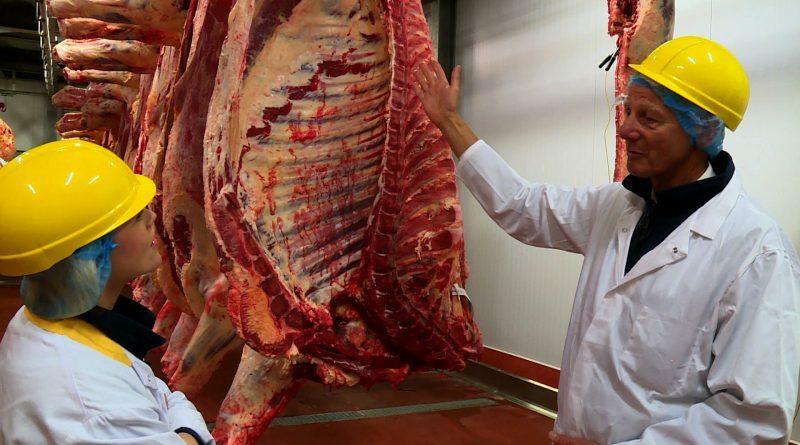 Kathriona pulls on her white coat and hat and surrounds herself with beef carcasses and meets Teagasc’s Paul Allen to test a number of post-mortem factors which impact hugely on the final taste on our plates. But could the future of the perfect steak lie in genetics? Jonathan meets Teagasc’s Dr Donagh Berry who is looking to develop a ground-breaking world first genetics test which could predict the tenderness of an animal’s offspring. What if you could create the perfect steak? In Weird Science, Fergus reveals that scientists are working on it, but have racked up a whopper of a bill in the process! And finally, what goes with a great burger? A cold beer! Ireland may be famous for a pint of the black stuff, but the last decade has witnessed the emergence of a new kid on the block, the craft beer. Aoibhinn looks at the explosion in the craft beer industry in Ireland and visits a brewery to find out some of the key ingredients and processes that go into creating the perfect pint.